1. 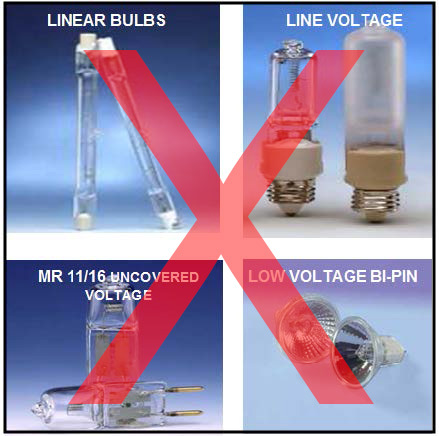 LIGHTING RESTRICTIONS – Certain halogen lights are deemed unsafe and will not be allowed on the show floor. These steps are being implemented to reduce the risk of fires related to halogen lighting. 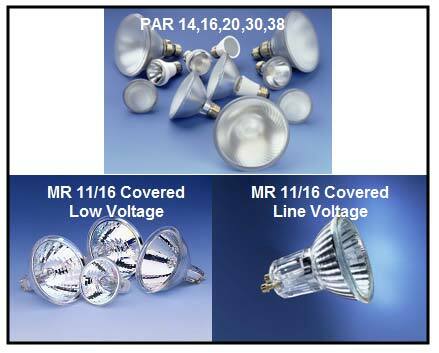 Please see the attached samples of the approved and unapproved halogen bulbs for your convenience. 2. LIGHTS OUT POLICY – All exhibitor booth lighting must be turned off by the exhibitor by close of show nightly. ***HELPFUL HINT: Plug all lights into an approved power strip(s), not to exceed 1400 watts per power strip. Remember to place the power strip in a readily accessible area within your booth and turn off the power strip each night at close of show. 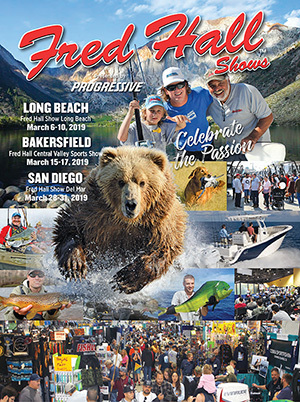 It’s THE number one face to face experience we have with our customers all season. We come back every year.